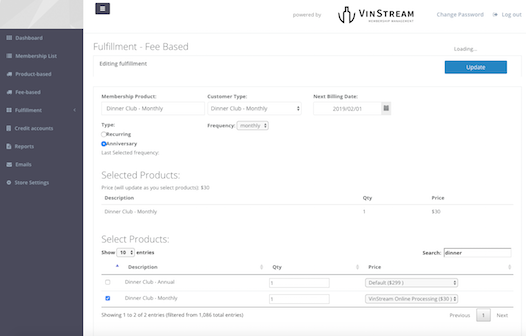 Expand the functionality of Lightspeed Retail to include features that help you manage memberships and subscriptions. Fee Based Members: recurring billing to batch process fee based memberships. Self-Serve Member Portal: a no-hassle portal for members to log in securely, update contact information, and change their credit card on file. 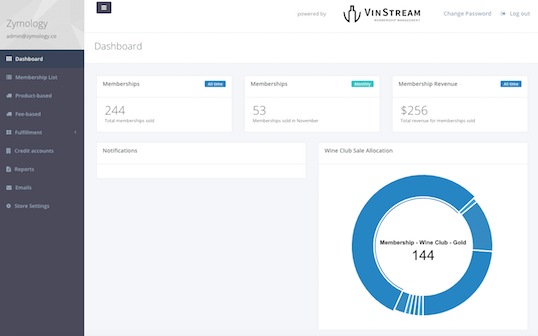 Reporting & Analytics: VinStream communicates directly with Lightspeed Retail, collecting all of your reports & analytics in one place.